Firstly, it should come about as no surprise that another UK based ELO tribute band has just been launched or that Yours Truly KJS and elobeatlesforever (elobf) would bring them to your attention. Secondly. being as there is already an ELO tribute band doing the rounds who bring together the music of ELO and 10cc in 10CCLO, it should also not be a surprise that there is now a new quartet going by the name of ELO Beatles Beyond who will be shortly combining the hits of Birmingham's finest with those of The Beatles, Paul McCartney and Wings. Thirdly, I think it's quite natural for elobeatlesforever (elobf) to recommend a band by the name of ELO Beatles Beyond! Featuring Richard Gibson and Matt Gaffiney (who played the ELO maestro and George Harrison respectively in The Roy Orbison & The Traveling Wilburys Tribute Show) as Jeff Lynne and Paul McCartney alongside drummer Stuart Pickett and guitarist/vocalist Bernard Thompson, it's an interesting notion to assemble a band with the two rock icons on stage together (in a fashion) being as Jeff also produced tracks on both "Flaming Pie" and "The Beatles Anthology" for Macca. 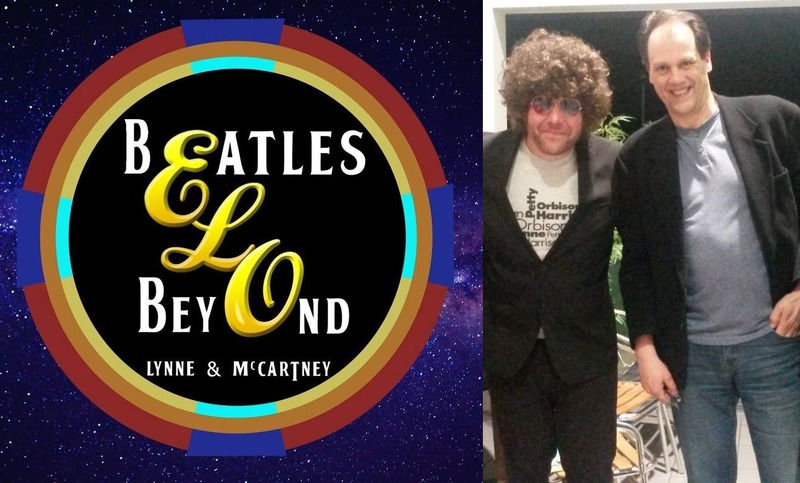 elobeatlesforever (elobf) recommends ELO Beatles Beyond to those enlightened folks who enjoy the music of ELO, Jeff Lynne, Roy Wood, The Move, The Idle Race, 'Brum Beat', The Beatles and related artistes. let me know when they come over state-side.